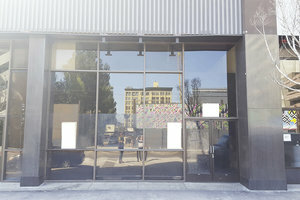 Situated in DTLA, this space is ideal for Pop-Up Stores, Art Exhibitions and Product Launches. 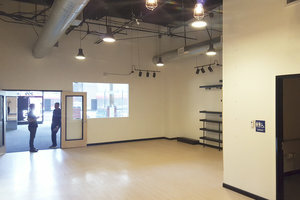 The space has an entirely glass frontage and offers good visibility. 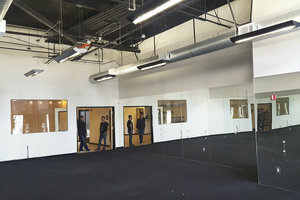 The interiors are surrounded by mirrors and graphic black accents. The modular layout with modern spotlights creates a creative and contemporary atmosphere. 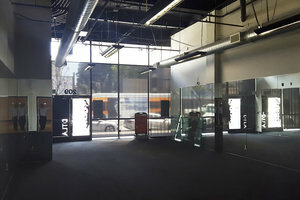 Located in the bustling area of DTLA, this is a great opportunity for brands and artists to pop-up in a sought after location and create new experiences.